CANNES — A long-awaited biopic of the notorious New York mafia boss John Gotti starring John Travolta is slated to premiere at Cannes, the film festival said Tuesday. The movie – which is being shown at a "private presentation" on May 15 – traces the epic rise and fall of the Gambino crime clan, one of America’s most powerful mafia gangs in the 1980s. The film is very much a family affair, featuring Travolta’s wife Kelly Preston as Gotti’s wife Victoria, and his daughter Ella Bleu as Gotti’s daughter Angel Gotti. "We’re hoping to use Cannes as our launching pad," the film’s marketing and distribution chief Dennis Rice told the Hollywood Reporter. The project first took root in 2011 when John Gotti Jr. signed a deal with a little-known producer to make a film about his father. 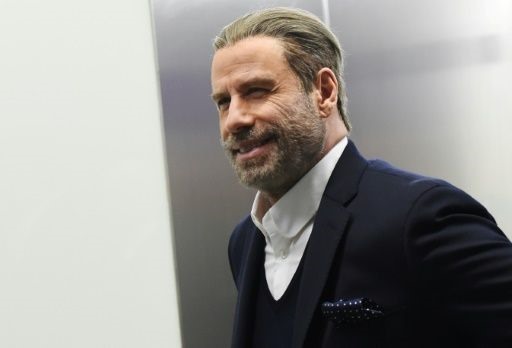 But soon after Travolta agreed to play the lead role, the movie ran into obstacles, triggering a seemingly endless exodus of directors. Shooting finally began two years ago under the direction of Kevin Connolly of Entourage fame. But the highly anticipated planned release in December 2017 was cancelled at the last minute.